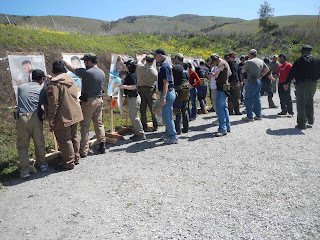 Firearms and Training: Defensive Shooting Club Drills Day for April 2012: WOW! 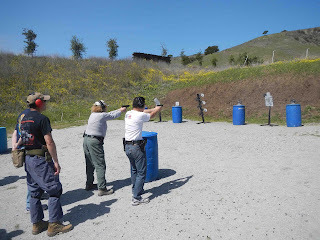 Defensive Shooting Club Drills Day for April 2012: WOW! Yesterday the Defensive Shooting Club got together for a drills day as we usually do on the third Sunday of the month. This was the biggest turn out ever with a grand total of 34 people! 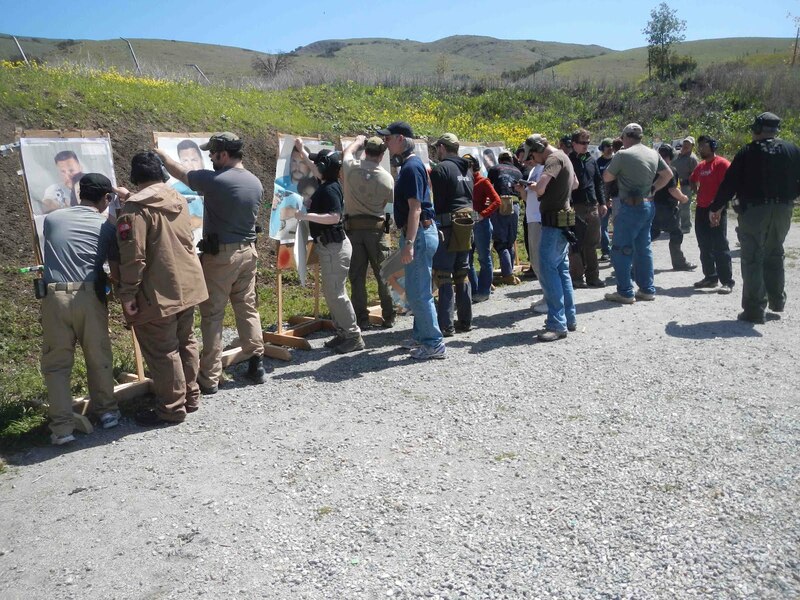 When I started attending the DSC three years ago 15 people was a big turn out. Now it's over double that. More people, in general, are taking the responsibility of getting quality firearms training and increased DSC participation is evidence of that. On this day of training, Jeff Patane, POST certified instructor for the club, started us out focusing on the basics. He likes to drill the basics into us so it becomes part of our DNA. 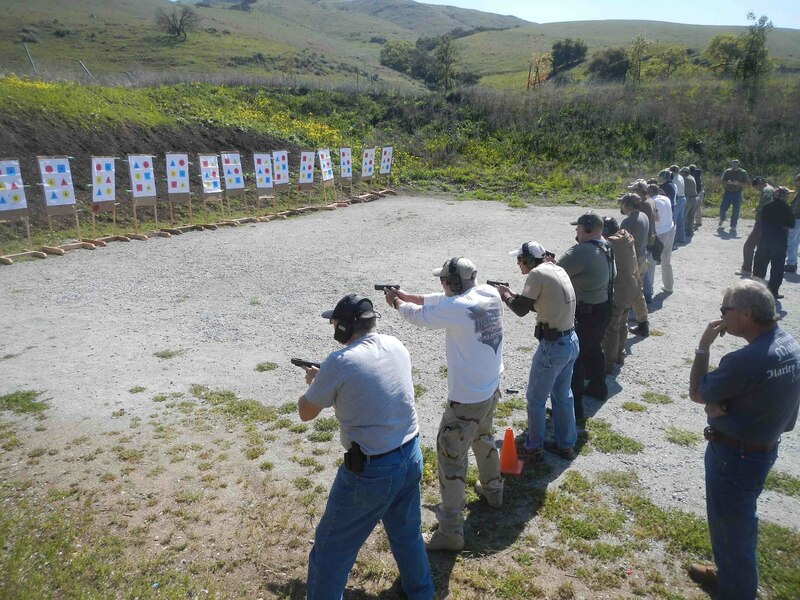 We started out doing slow fire drills practicing the basics from 5 yards. Single shot then two shots, finally three shots. But always ready for the next shot. Next we all moved out to ten yards and repeated the drill. The above photo shows the results after the 5 and 10 yard drill. 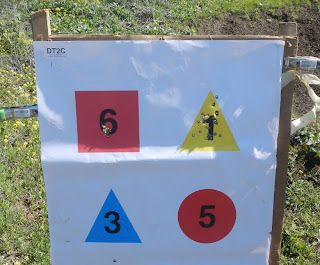 Then, we went out to 15 yards to watch the pattern spread out a little more. After that we moved on to some hostage targets to try our luck at that one shot we get during a hostage situation. Most people did pretty good at hitting the ocular cavity. 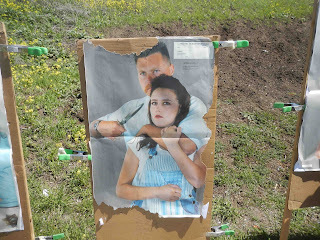 Next we practiced turning and drawing out handguns and trying for the head shot. Not as easy as it seems. But I'm glad we get to practice this. 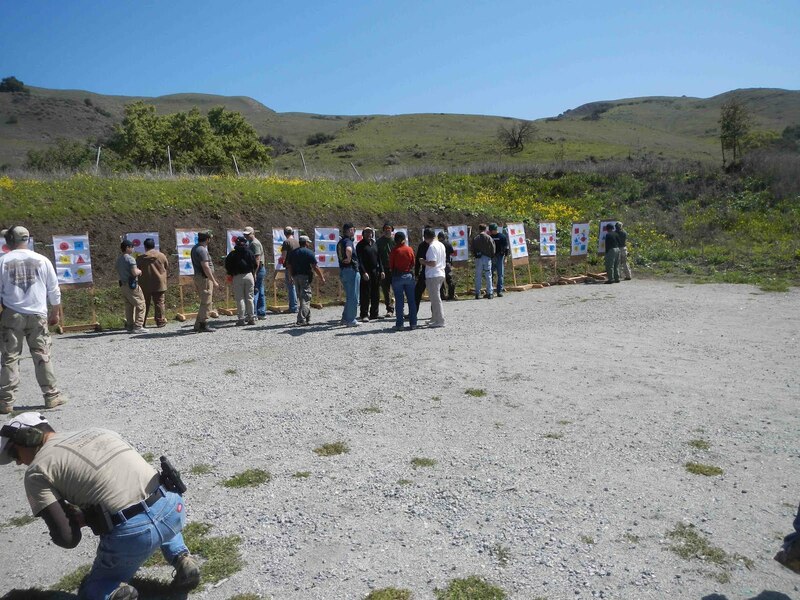 A right handed person turns to the left to maximize surprise by concealing the action of reaching for the handgun to draw and allows time to assess the situation to ascertain the necessity of drawing in the first place thus avoiding unwanted attention. 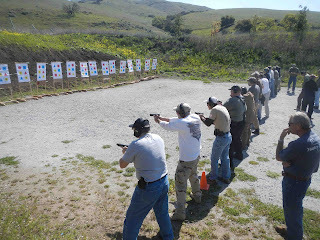 One of the great things about the Defensive Shooting Club is that the same people show up quite regularly thus providing a student continuity and a known training level base allowing the group to move forward with different skills, or allow Jeff to throw in all sorts of curve balls knowing that the student body has the skill level to safely execute on them. Also, the students can feel confident in other students allowing for a great learning environment. 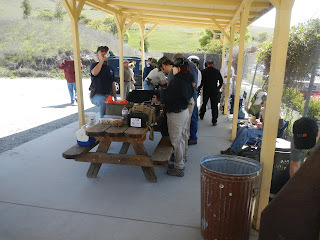 During the second half of the day we all had a great time shooting steel in teams against each other. When shooting against another team it adds an extra dimension of stress that really get the adrenaline going. Shooting against the clock is rather abstract and individual. I like to do well against the clock but when you are against a real person I think it really ups the nature of the competition by a order of magnitude. With your teammate beside you and competing against another team you heart really starts to pound and the game is ON! Wow! It's fun. A malfunction? Your training kicks in. At whatever level you have achieved that's the best reaction you have. During the last showdown I had a "click" and as they say that is the loudest noise you will ever hear. When I first heard that expression I scoffed. What? A click? The loudest noise you'll ever hear? Come on. Well, I experienced it first hand and I'm here to report it's true. 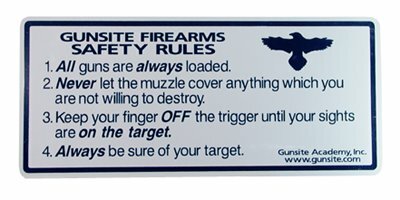 When I heard that click, shooting support side only, I slammed the mag into my upward moving thigh then racked the slide on my pant leg and got back into the fight. I didn't stop to look at my gun or think about it awhile. 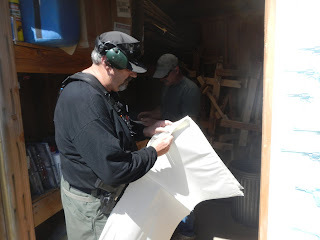 I just did it the immediate action drill. At that moment I knew that Jeff's constant emphasis on the basics was taking hold inside my brain. And I did hear the "click" loud and clear. I thought "crap" and my autonomic nervous system took over control. If a mistake is made you paid dearly by losing the round. When the teams were engaging the dueling tree it was very important to apply all the skills practiced earlier in the training day. Mostly trigger control though. Those who mastered the trigger mastered the dueling tree. The intensity of shooting team against team with everyone else watching a cheering is exhilarating to say the least and addicting. That was the quickest training day I ever experienced. 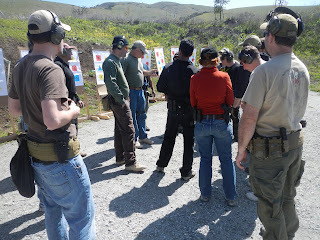 We were all having a lot of fun and got to get some serious training in.